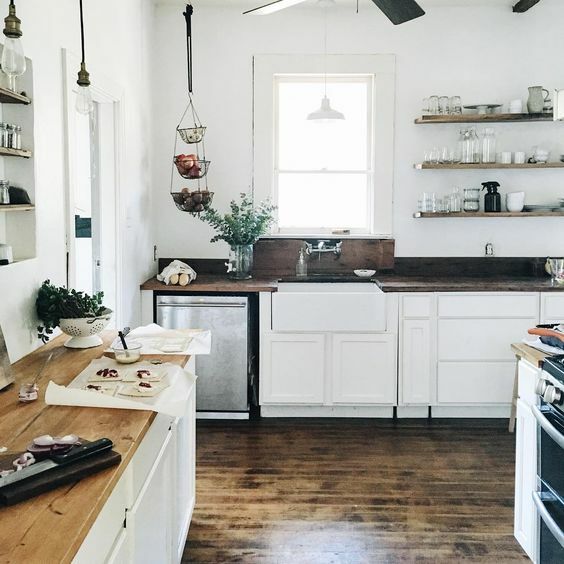 I stayed away from Pinterest for a long time (5 years)...well at least from looking at my dream home/kitchen pins. And before Pinterest it was magazines that I had to stay away from. There is nothing that makes you more discontent in your situation then looking at things that you can't have at that moment. It wasn't until I got the final word that we were really and truly adding on to our home, that I started scouring Pinterest again and stalking my favorite home inspiration accounts on Instagram. I had waited so long for my dream kitchen to become a reality, that I could hardly believe it was actually happening! I had to pinch myself to ensure that yes, this was real! I was free to pin to my heart's content! 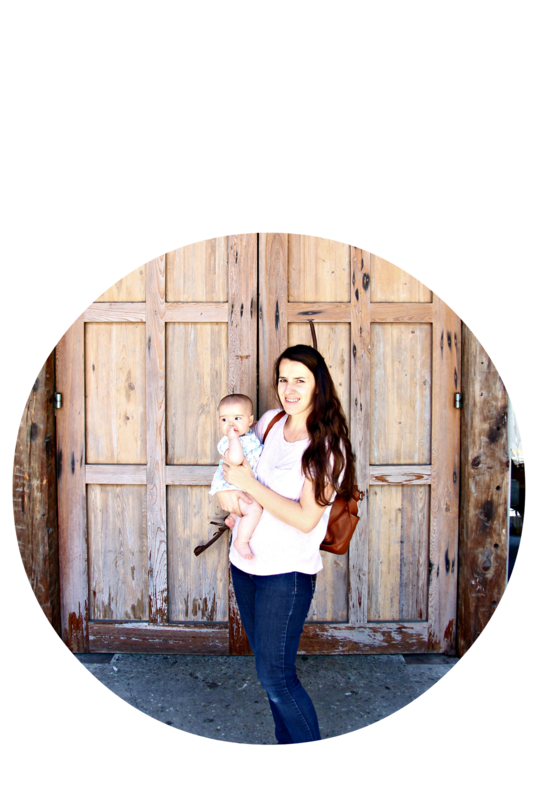 Even though I went to crazy town pinning away; I pretty much knew in my mind what I wanted. 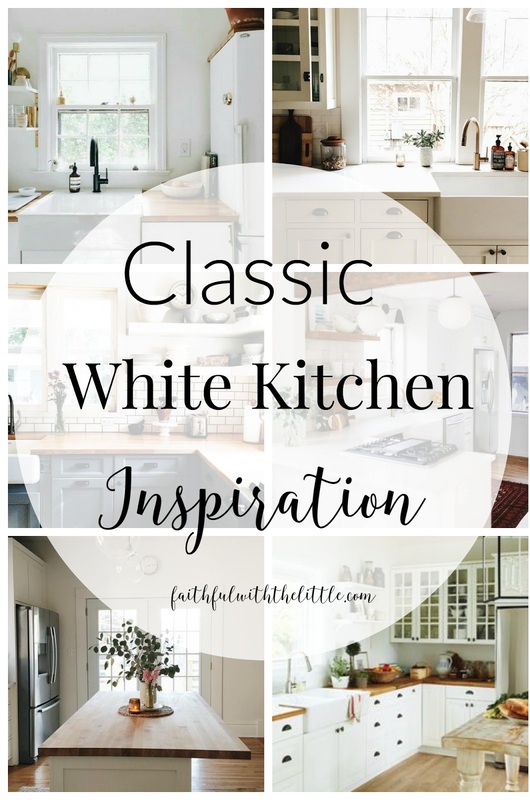 My design style has morphed over the years and I am sure it will continue to, but I think I have always wanted the classic white kitchen with the farmhouse sink, subway tile backsplash, a window above it and stainless steel appliances. Yeah, I am such a trend follower but I can't help it. I love the latest kitchen trends! I can not wait to show you the before and after pictures of our kitchen, because it is truly dramatic! But before I do I thought it would be fun to show you some kitchens that gave me a lot of inspiration during the whole process. 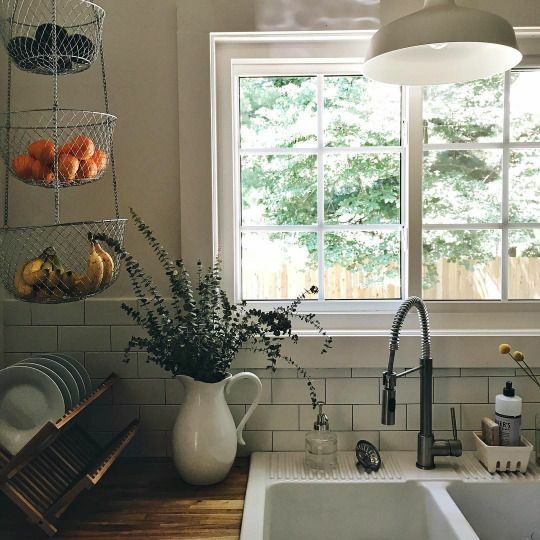 This kitchen is from one of my favorite Instagram accounts. I love her kitchen! 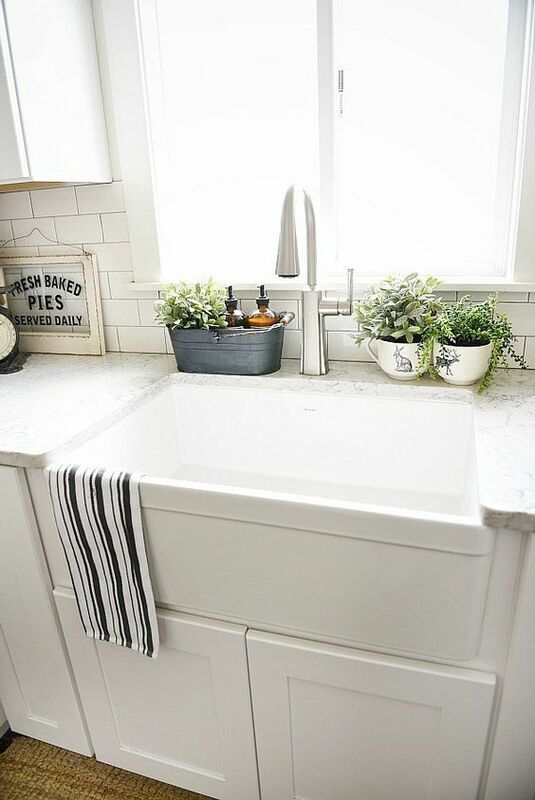 I wanted to do quartz countertops, cabinets and an island like hers, but it didn't work out with our time crunch and space. Maybe someday...until then I am very happy with what we chose instead. My friend Kim also had the same dilemma and came up with some great inspiration for kitchen shelves here. 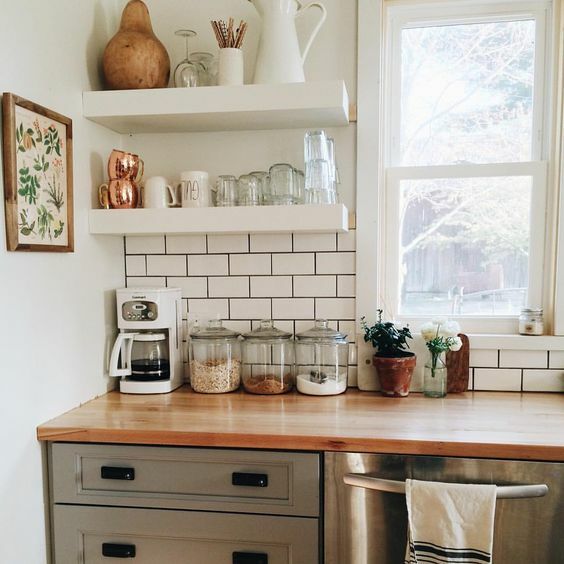 Such a sweet little spot in this charming kitchen! I love the hanging pendant! This was one of the first kitchens that gave me inspiration for what I wanted. 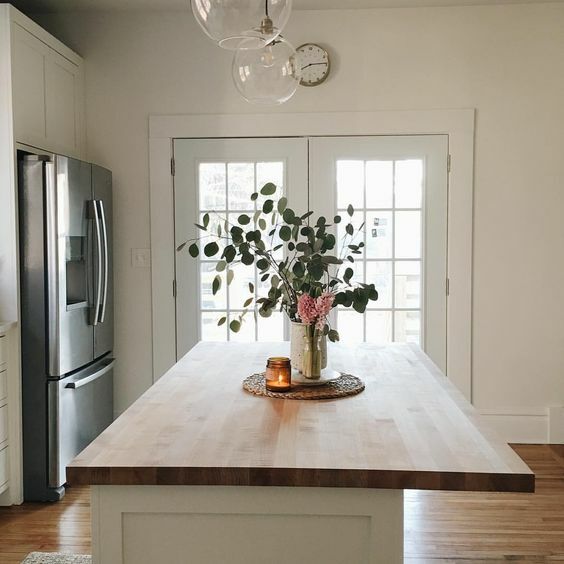 Even though I have my dream kitchen now, there are lot of things I wanted that we weren't able to incorporate; like an island or bar with stools, quartz countertops and custom cabinets. I have found that although I am in seventh heaven enjoying my new kitchen, it can still be easy to let discontentment creep in. It's so silly, I know. But it happens to all of us. It will always be something. After barring myself from Pinterest, it was so fun to scroll through all the kitchen eye candy; drooling over subway tile, quartz/wood countertops, color options, shelving and hardware ideas. There is a puddle on the ground as I am speaking! Everybody has different dreams, but mine has been of a space to cook for my family that doesn't leave me feeling claustrophobic. 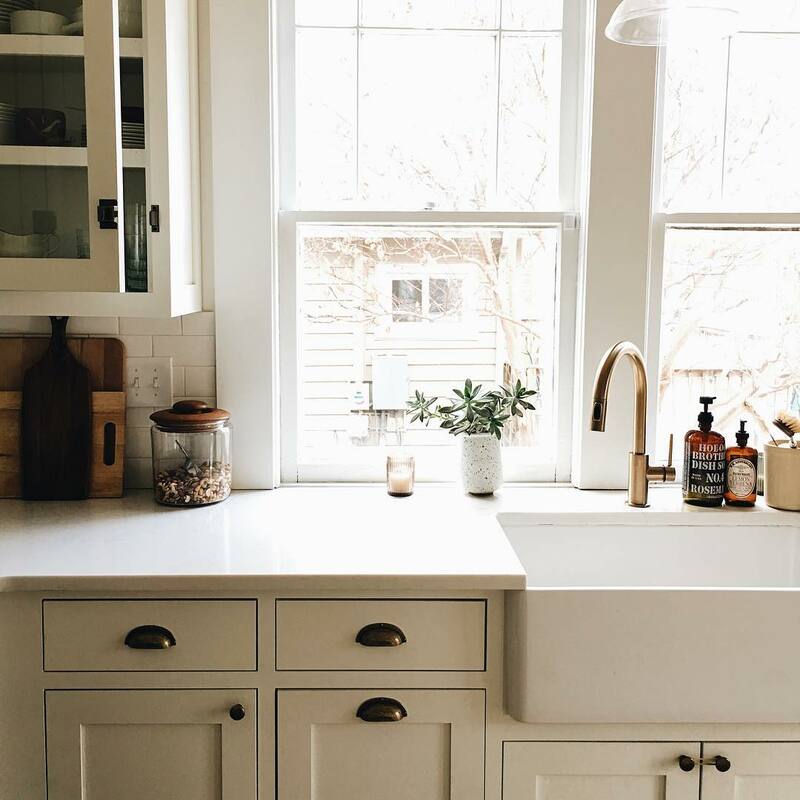 The kitchen is the heart of the home and it's worth it to take the time to get ideas from the interwebs to decide on what you want for yours. Though I would like to think that I have original ideas; let's face it, there is nothing new under the sun and we all pretty much borrow each other's ideas. Browsing Instagram, Pinterest, and pestering my friends for their design advice went a long way in helping make those little but very important decisions. 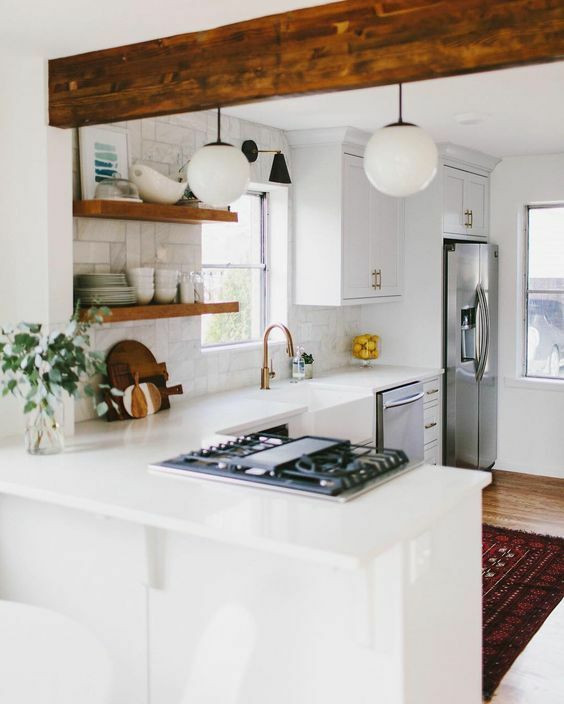 I hope you were inspired by these beautiful kitchens and if your ship hasn't come in yet, I pray that God will help you to find inspiration with what you have and where you are! 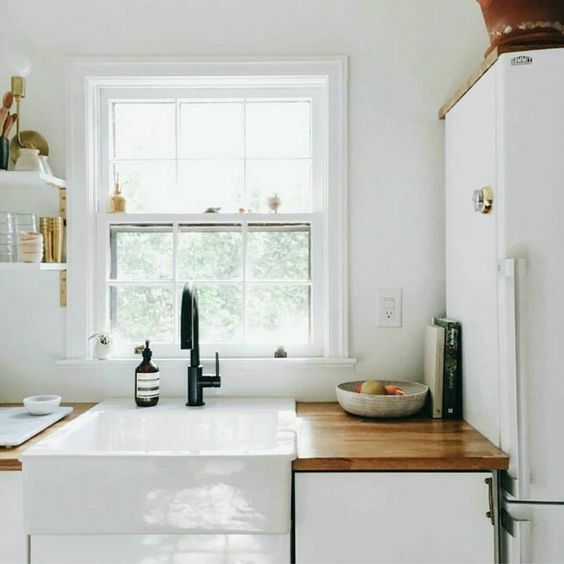 Did these kitchens inspire you as well? Is it hard for you to look at Pinterest/Instagram sometimes? Are you getting ready to remodel or add on?? My style has definitely changed quite a bit over the years. In my newly married days, I was all into country. When I moved to the home that we are in now, it was more colonial. Now in my empty nest years it's more clean lines and traditional gravitating toward blacks for the wooden pieces and tans and taupes for the furniture pieces. Surprisingly, I still love my kitchen and wouldn't change a thing. We remodeled 11 years ago. It's funny but that seems to be the only room that I seem to land on in terms of design preference. 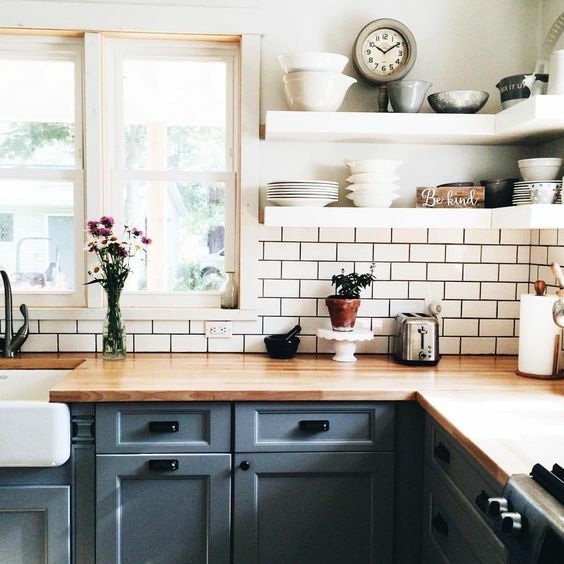 Thanks for sharing your pinterest inspirations for your kitchen. I can't wait to see the pictures! It's funny how our tastes can so drastically change! I think though that there are classic elements that will never go out of style! Good luck on the bathrooms! Can't wait to show you my new kitchen!